Singing Rock’s new tear-apart energy absorber comes with strength-supporting webbing, which is given an extra tubular layer for better durability. 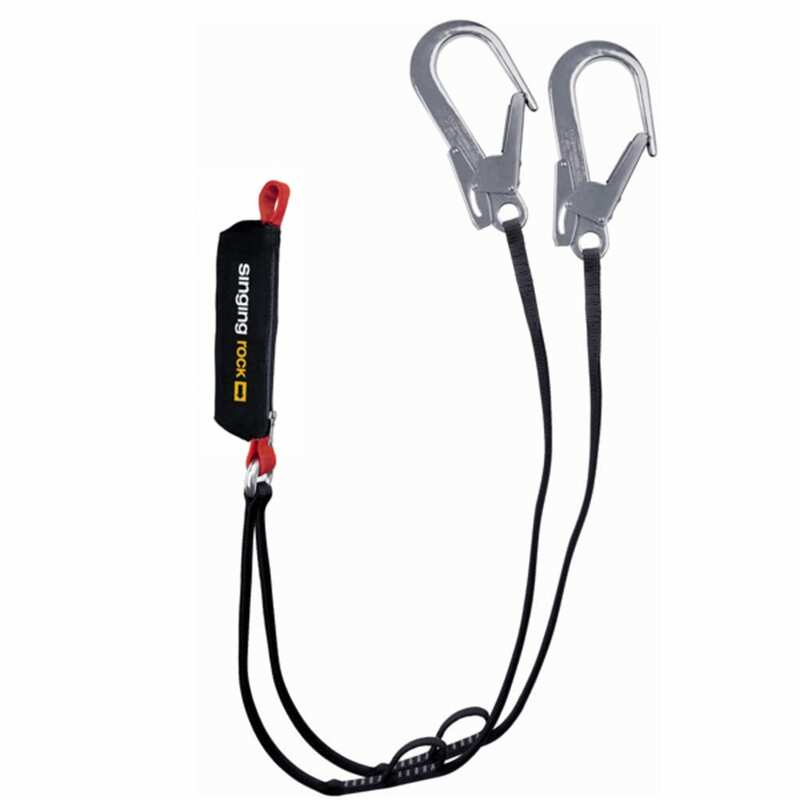 Protected by a sheath, the shock absorber component can be opened for both inspection and drying, in the event it gets wet, while the lanyards attach to an aluminum ring. So you’re climbing with just the right amount, the ring can be used to shorten its length.